For many years Orchos Chaim did not have a permanent home. There were many moves between buildings, and sometimes to different neighbourhoods. Sometimes the rooms were too small to accomdate the yeshiva, and they were not able to be renovated to suit our purposes. 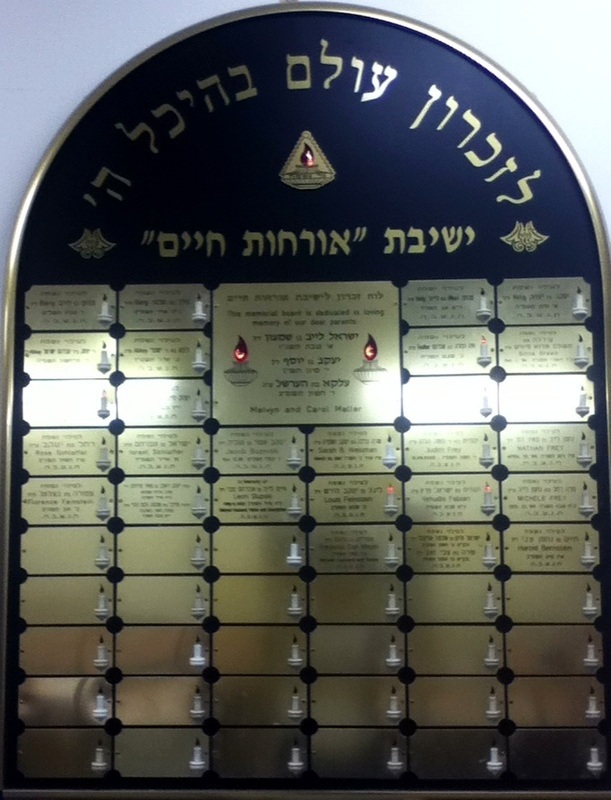 This all changed when Orchos Chaim was very kindly donated a large block of land by an anonymous donor. There was a dilapidated building on the land which was donated by the municipality, and Orchos Chaim undertook to renovate significant cost in time and money and effort, producing the beautiful building that is now our home. In early 2013 Orchos Chaim held a momentous occasion, holding a siyum sefer torah and a chanukas habeis at the same time. Please see our pictures and videos from this event. There are many aspects about our new building which are worth expanding on. 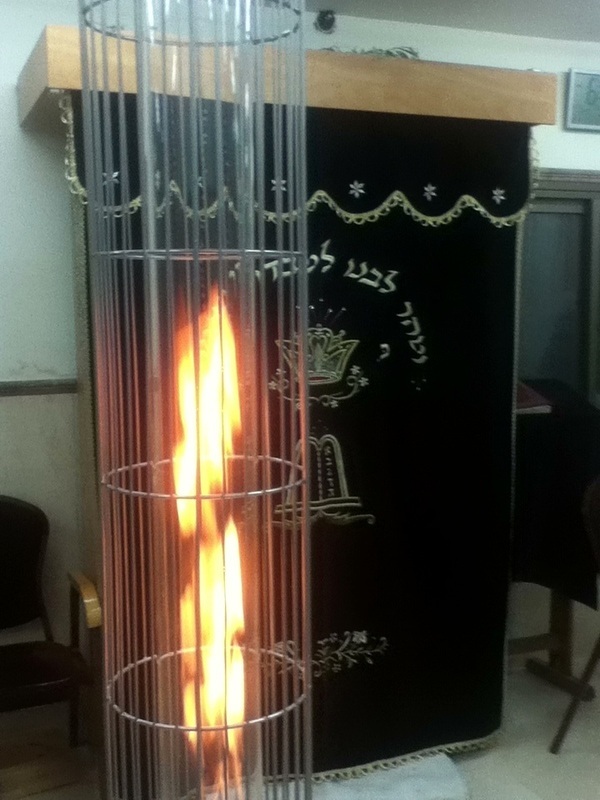 The new Orchos Chaim Beis Midrash more then just symbolically represents the burning fire of the Torah, as you can see from the picture on the side. 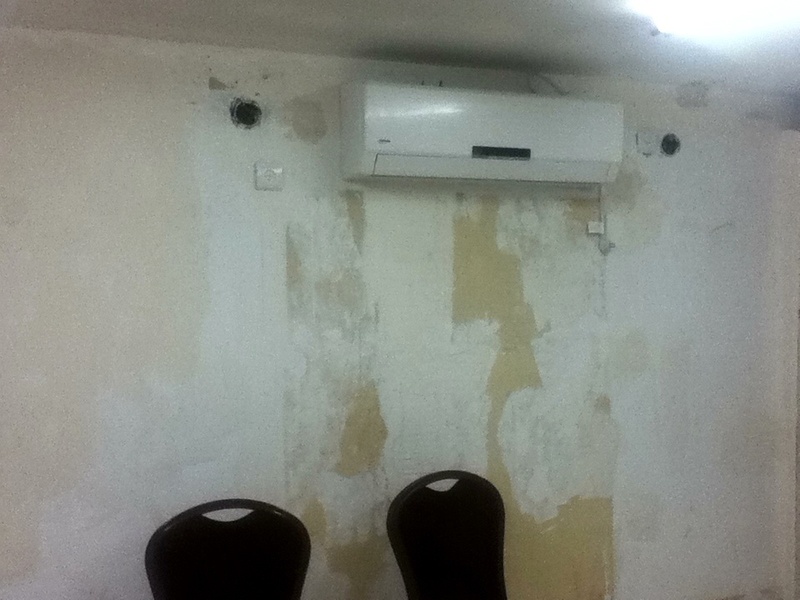 The Shul which has just installed electricity, presently doesn't suffice for all of the electrical power need necessary, and with the cold winter and the snow falling, it was necessary to come up with some creative method to heat the Beis Midrash. Although Orchos Chaim's programs have changed drastically over the years, it's memory and the memory of those who have donated and supported us continue. Just like their memory has not been forgotten, and they continue with us, so to Orchos Chaim continues with similar goals, and different and additional approaches. The source of it all, is the Torah. The Orchos Chaim library is testimony of our continuity. Since Orchos Chaim moved to Givat Ze'ev and especially once we opened our new Beis Midrash, the library continues to grow to serve our growing needs, both by the community, the Kollel, the Rabbonim and the many visitors who come to learn. When Orchos Chaim first arrived in Givat Ze'ev it was looked upon as a stranger or more as an intruder. The Kollel was first situated in a nearby Shul, however, it was necessary to build it's own Shul, in order to allow for autonomy, which would then be the starting point for spiritually building and motivating the community. What's ironic is, that there is a nearby fully built Shul, which is closed, locked up, almost all hours of the day. Orchos Chaim on the other hand is open 24 hours a day, whenever anyone wants to come and learn he is more then welcome. 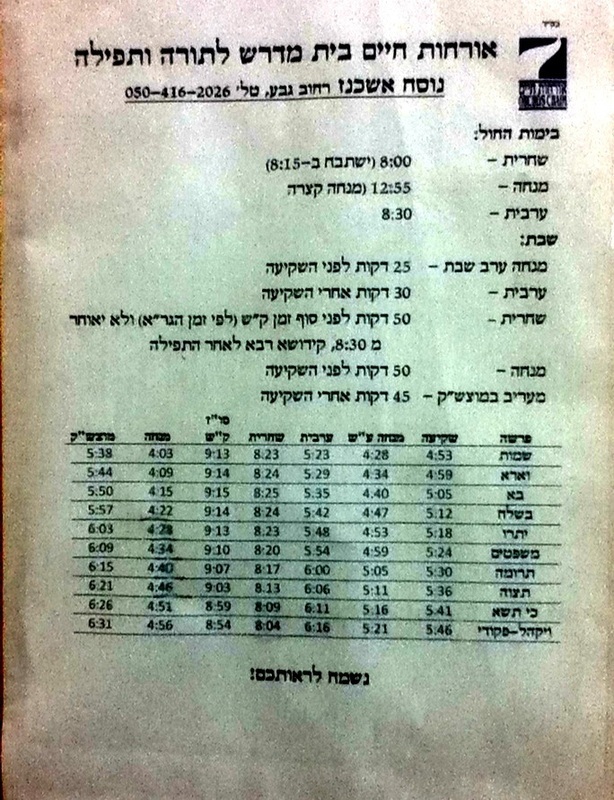 Above you can see the Shul's itinerary, with the times of davening, both weekly and for Shabbos. 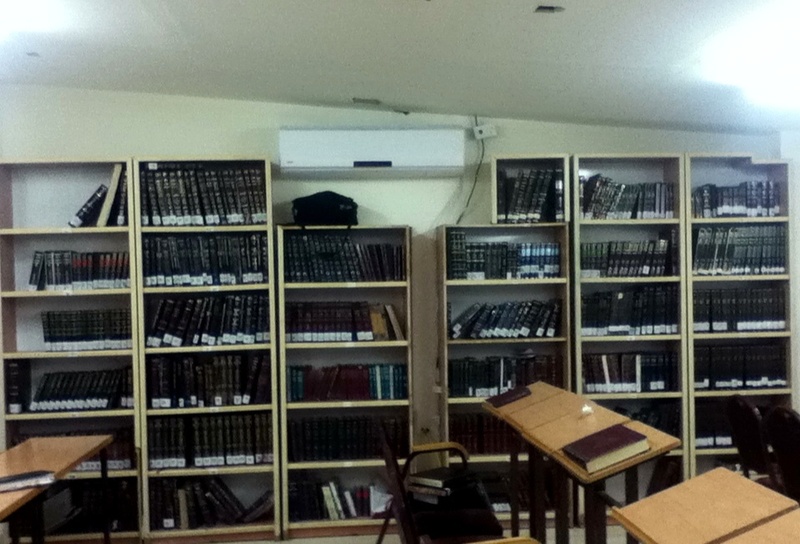 Although the vast majority of our new Beis Midrash is in very good condition. As you can see, the kitchen, which doubles as an Ezras Noshim still needs some renovation. As a community program, the Ezras Noshim takes a vital role. Just last week (parshas Beshalach), we made a siyum on Tractate Makos, which included an active role by the women of the community, who both cooked served and participated in the siyum.